Houston's mayor expressed his appreciation for the generous donation, stating, “We are overwhelmed by the support from our corporate partners including Citgo." Venezuela has provided free gas to rescue workers, firefighters and police in their efforts to help victims in areas affected by Harvey, the Foreign Ministry said Saturday. At gas stations in Texas and Louisiana owned by Citgo Holding Inc. — a subsidiary of the country’s state oil company, Petroleos de Venezuela — rescue forces have been able to fill up for free. Foreign Minister Jorge Arreaza stated on Twitter that the contribution was an act of solidarity with area families. The minister’s statement came just a day after Citgo administrators announced a US$3 million donation to the to Houston’s Harvey Relief Fund. In a news release published on its site, Citgo stated that a percentage of all fuel sales would go directly towards rebuilding the community, beginning in the most marginalized areas and those which saw the most destruction. “As a company with operations throughout the Gulf Coast, we have seen first-hand the devastation caused by this historic storm. Our hearts are heavy and we are grieved for the many victims of this catastrophic event, some of which include our very own employees,” said Citgo Acting President and CEO Jose Pereira. “It is our hope that this donation will help alleviate the suffering of those impacted by Hurricane Harvey throughout the region,” Pereira added. “Let’s not allow war or threats to be imposed, but instead let’s impose solidarity. 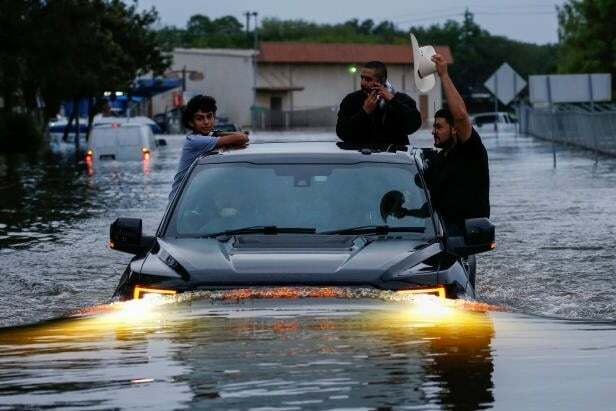 We will always be with the people of the United States and the peoples of the world in difficult times,” Arreaza said Tuesday after announcing a US$5 million donation to the cities of Houston and Corpus Christi. He was referring to President Donald Trump’s threats of war and substantial economic sanctions imposed on the South American country in recent weeks.